Wireless Connect supply high quality performance Networking equipment from wireless client units, point to point links, right through to high performance proxies, firewalls and core routers. Wireless Connect sells and supports many software / hardware platforms, such as MikroTik Router OS, OpenBSD, FreeBSD, CentOS, Red Hat Linux and UBNT. All products sold are backed with our support team who provide quality consultancy and training services. Copyright © 2006 - 2013 Wireless Connect Ltd.
Wireless Connect are an IT Services private Ltd. company registered and trading in Ireland. All prices are Quoted Excluding VAT, VAT is charged at Irish 23% Rates. Wireless Connect are Dell Premier Partners. Wireless Connect are Official MikroTik Distributors, MikroTik Approved OEM Partners, Certified MikroTik Training Partners & Certified MikroTik Consultants. 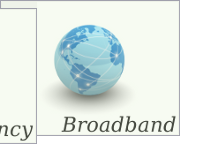 Wireless Connect provide these products and services to Europe and worldwide markets. Terms and Conditions apply.